The notion of crosstalk, referring to the case that two inputs work through distinct signaling pathways but cooperate to regulate cell growth. Signaling pathways enable cells to sense changes in their environment, to integrate external or internal signals, and to respond to them by changes in transcriptional activity, metabolism, or other regulatory measures. The proper functioning of these pathways is crucial for adaptation and survival under varying conditions, but also for differentiation and cell fate. In multicellular organisms, signaling pathways play an important role in neural cell plasticity. The neural cell crosstalk in tissues involved a wide range of signaling pathway and gene transcription, affect the alternative splicing, biosynthesis, posttranslational modification, transport to the cell periphery, and expression in the brain and other organs during development. 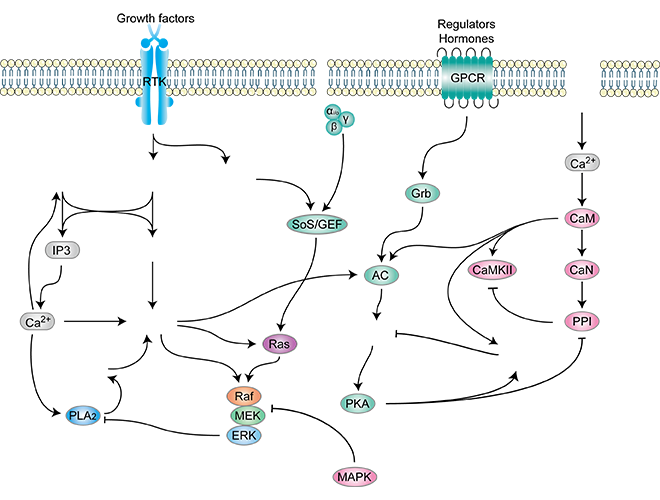 When specific signaling components are shared between two or more signaling pathways, crosstalk is direct. Crosstalk may also be considered direct when components of one pathway are modified directly by enzymes acting in other signaling pathways. We should point out, however, that shared pathway component is not sufficient to conclude that two pathways crosstalk to each other. 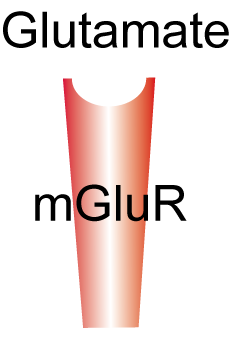 In a looser definition of the term, scientists have used crosstalk to describe indirect effects that one signaling pathway can exert on a different signaling pathway. Indirect crosstalk has been used to designate the sequential action of different signaling pathways, especially when the action of the first pathway is necessary to see the activity of the second pathway. Occasionally, crosstalk has been used to define a response to two different signals that converge on the promoters of co-regulated genes, however, since there are no interactions between the two signaling pathways, it may be more appropriate to use different terms. Crosstalk (direct and indirect), mutual antagonism, co-regulation, and both positive and negative feedback loops are common in metazoan signaling pathways. Neural cells generate and receive many types of signals that involve biochemical pathways. Interactions between such biochemical pathways involving positive and negative feedback loops lead to emergent system properties. Due to this interdependence, the involvement of biochemical pathways in information processing increases the computational and integrative capacity of a neuron. Regulatory inputs to the network via hormonal, growth factor, or G-protein coupled receptor (GPCR), and these inputs have also been shown to strongly modulate responses. The growth factors, through receptor tyrosine kinase (RTK), regulate the responsiveness of neural cells to gliogenic signals late in development. Various key molecules play important roles in the pathway, such as phospholipase C β (PLCβ), phospholipase C γ (PLCγ), inositol trisphosphate (IP3), diacylglycerol (DAG), Son of Sevenless/guanine nucleotide exchange factor (SoS/GEF), calcium (Ca2+), protein kinase C (PKC), calcineurin (AA), etc. The activation of the small G protein Ras is initiated by two main pathways, one of which depends on PKC, while the other one is SoS/GEF. Active Ras-GTP stimulates the activation of the MAP kinase (MAPK) cascade involving the kinases Raf, MEK, and ERK. Activated ERK phosphorylates and regulates several cellular proteins and nuclear transcription factors, including phospholipase A2 (PLA2). 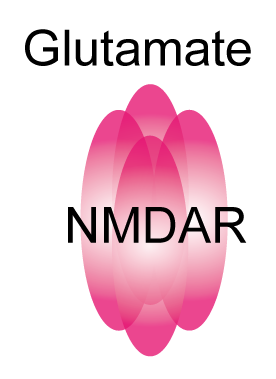 When the N-methyl-D-aspartate receptor (NMDAR) allows sparse glutamate signaling to activate NMDARs, NMDAR activation might then mediate calcium flux. The calcium-calmodulin kinase type II (CaMKII) which do not exert direct control over protein kinase A (PKA), strongly affect their tuning responses through crosstalk in the network. The tuning responses, therefore, do not arise in any particular subset of the signaling network but are emergent properties of the network as a whole. Phosphorylation of serine/threonine or tyrosine residues in the cytosolic domain by protein kinases can regulate the activity and thereby adapt the signaling system to input signals of different intensity. PKA responds strongly to a brief input, but weakly to a longer one. This is due to the high threshold for calcium activation of calmodulin (CaM), acting through type 1 adenylyl cyclase (AC1) and cyclic adenosine monophosphate (cAMP). 1. Vert, G; Chory, J. Crosstalk in cellular signaling: background noise or the real thing? Dev Cell. 2011, 21(6): 985-991. 2. Klipp, E; Liebermeister, W. Mathematical modeling of intracellular signaling pathways. BMC Neuroscience. 2006, 7(Suppl 1): S10.